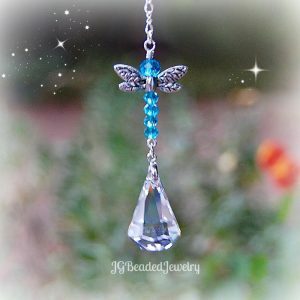 This winged heart quartz crystal necklace is uniquely designed with a two-sided TierraCast lead free charm and a clear quartz gemstone bead that is wire wrapped directly onto the chain. 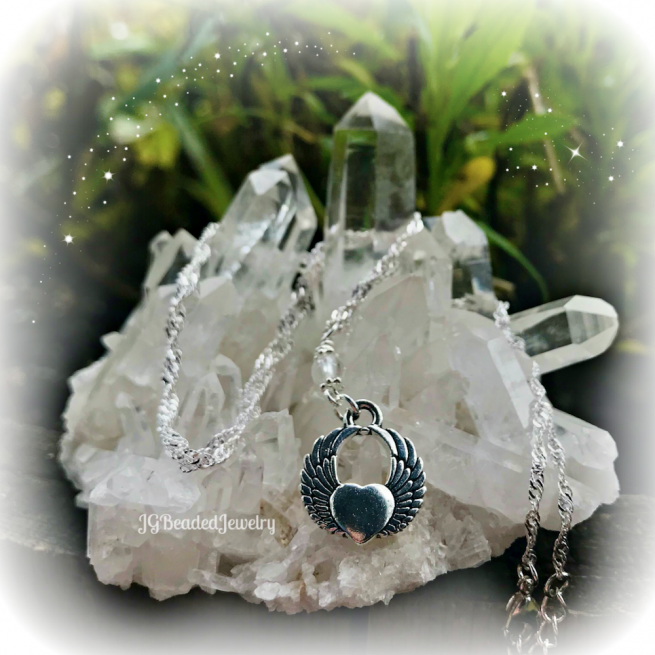 Wings represent freedom, elevation, desire, ambition, divinity and transcendence. 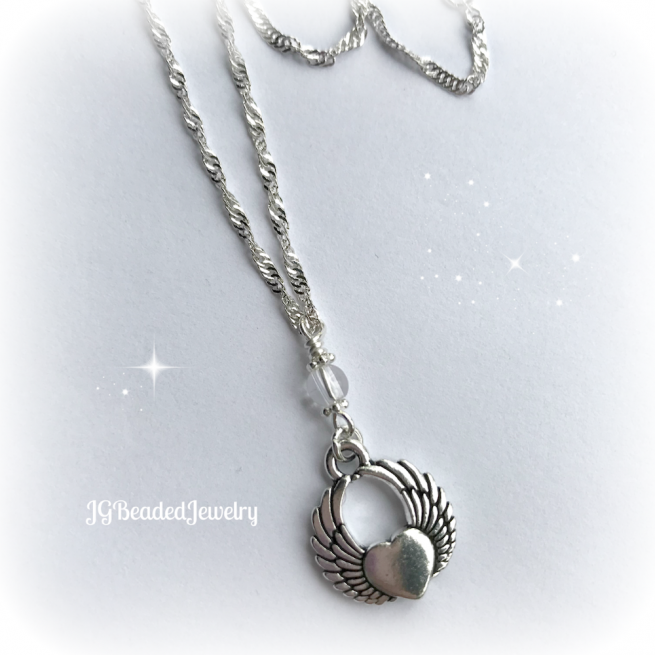 The heart is a symbol for love, the soul, emotions, and our inner selves. The winged heart can take on different meanings, but commonly thought of love for one another or perhaps love for someone who has moved on. 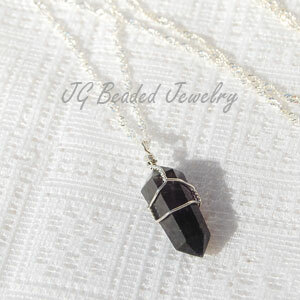 The silver twist necklace measures 18 inches and has a 1 inch extender in the back for length adjustment. 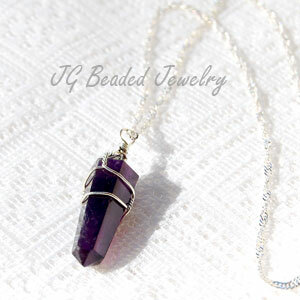 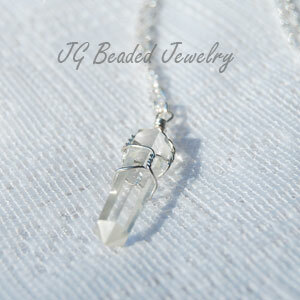 Other gemstones or Swarovski crystal birthstone colors may be available by sending a message with your request here.